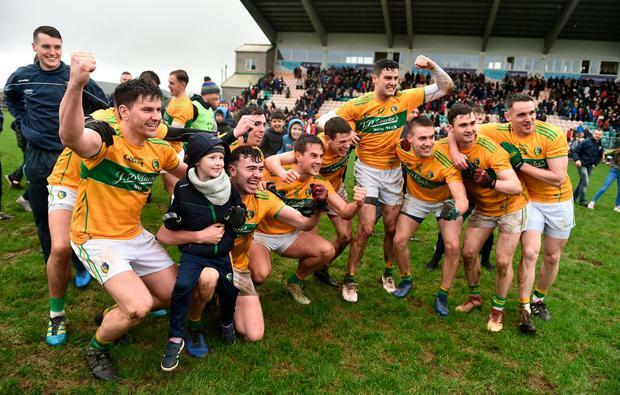 Leitrim wiped away 11 years of thwarted ambition to clinch promotion to Division 3 against London in a poor game at Avantcard Páirc Seán Mac Diarmada in Carrick-on-Shannon yesterday. 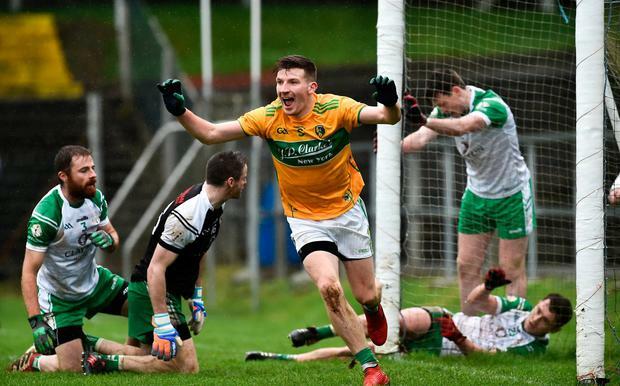 The visitors took an early lead, but a Shane Quinn goal in the 23rd minute settled Leitrim and they were ahead by 1-4 to 0-4 at half-time. Leitrim extended their lead after that as the visitors failed to register a score until Liam Gavaghan's pointed free 13 minutes from time. Another pointed free in the 61st minute, bookended by points from Leitrim's Gary Plunkett and Ray Mulvey, kept London in touch. 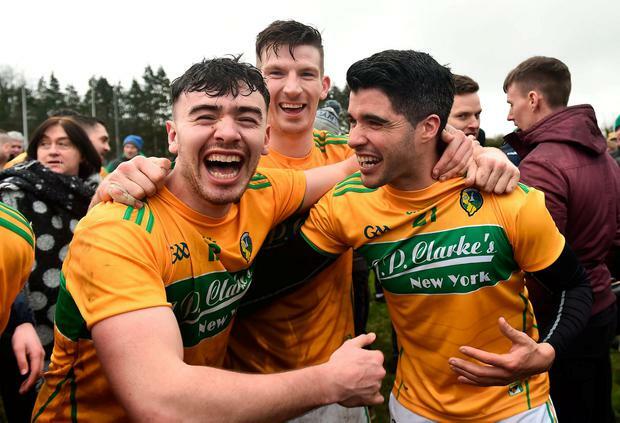 However, as the game entered its final minutes, another Mulvey point from play put the result - and promotion - beyond doubt and sparked joy in the Leitrim ranks. Scorers - Leitrim: S Quinn 1-0, R Mulvey, R O'Rourke (f), G Plunkett, all 0-2, D Flynn (f), E Sweeney, A Flynn, all 0-1. London: L Gavaghan 0-4 (3f), C Doran (f), P McGirr, F McMahon, all 0-1. 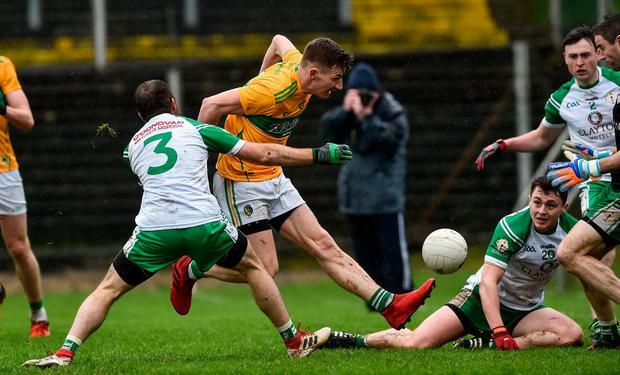 Leitrim - D McKiernan 7; M McWeeney 7, P Maguire 8, A Flynn 7; S Quinn 7, M Plunkett 7, R Mulvey 8; S Moran 6, P Dolan 6; S McWeeney 6, D Flynn 6, D McGovern 6; G Plunkett 6, E Sweeney 6, R O'Rourke 6. Subs: D Rooney 7 for Sweeney (h-t), D Moran 7 for Dolan (52), E Ward for D Flynn (66), E Mulligan for O'Rourke (68), C McGloin for Moran (73). 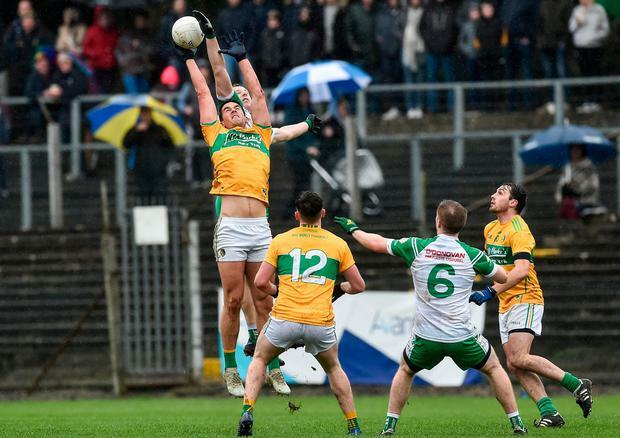 London - D McEvoy 6; M Moynihan 6, P Butler 6, C O'Neill 6; D Dunne 7, D Carrabine 6, R Jones 6; M Clarke 6, M Gottsche 7; A McGarvey 6, L Gavaghan 7, P McGirr 6; C Doran 6, J Hynes 5, B Tully 5. Subs: F McMahon 5 for McGarvey (48), L Gallagher 5 for Doran (48), S Hickey 5 for Hynes (54), N Coffey for McGirr (59), J Winters for Jones (68).